Our ecologically friendly “Barista Bikes” are powered by human legs whilst producing a minimal carbon footprint. With no noise & minute omissions the Barista bike can operate both indoors and outside. The Barista Bike ire 100% self sufficient and can be operated independently of a mains water or power supply. We have customized the Barista Bikes to accommodate all kinds of weather. With its eye catching design, vintage look and wooden finish The Barista Bike are a fantastic tourist & event attraction. 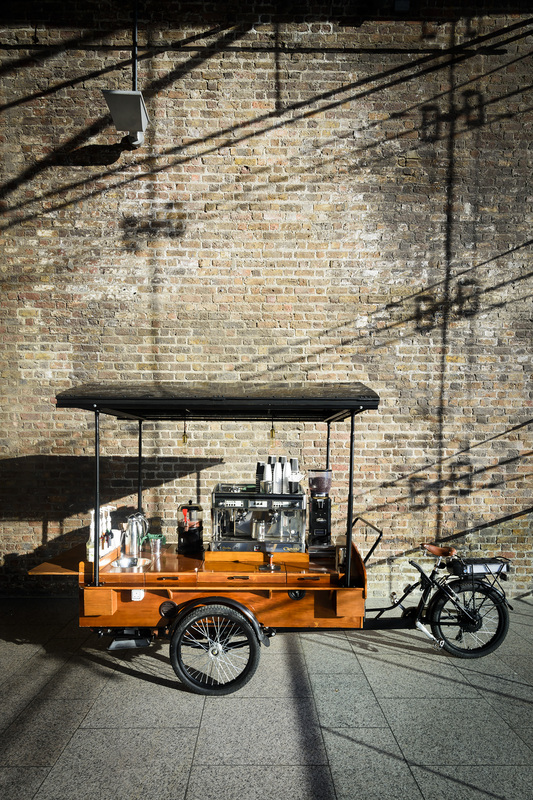 The Barista Bike © can be operated by one or two trained baristas with the ability to serve immediately and remain mobile. We envisage The Barista Bikes © to be able to penetrate markets such as concerts, picnics, family events & corporate events.